First, I appreciate you taking the time to learn a bit about me and explore whether we could be a good fit for each other. I believe healing in therapy is dependent on a strong relationship between you and your therapist, so I admire you for taking the time to research me, and others. Life is hard; conflict in relationships, priorities, and choices is difficult to process alone. That being said, I believe you are the expert on your own life and I would be honored to collaborate with you and help you learn yourself better as we process through life’s trials. I have a passion for relationships, specifically marriages and the parent-child relationship. We don’t choose our family, and yet they often play a significant role in our lives. So, whether you are coming alone, seeking help to navigate those relationships; or you prefer to come with your significant other or family members, I believe growth and progress is possible for every person and every relationship. Finally, I am a certified Prepare/Enrich Facilitator, which is widely used for couples counseling, including pre-marital counseling. 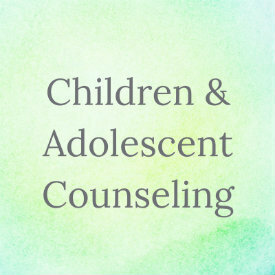 I knew I wanted to be a counselor since I was in high school. 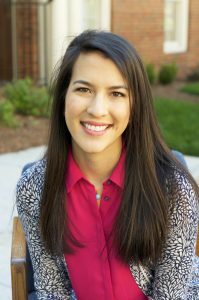 I went to Furman University in Greenville, SC and majored in Psychology. While there, I developed a strong foundation in research and evidence-based theories. 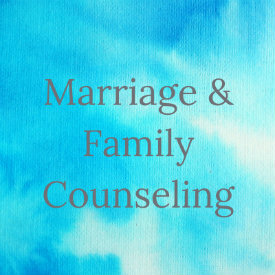 I am currently in my final year as a Masters student in the Marriage and Family Therapy track at Richmont Graduate University. 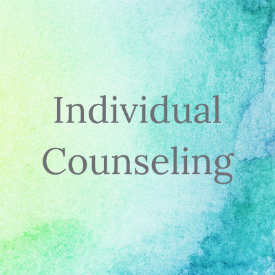 I have learned and developed various counseling application skills and I firmly believe in the healing process through therapy. I am very excited to potentially work with you to find wholeness and healing for yourself. Please feel free to ask me questions to get to know me a little bit better to determine if you think we could work well together. You can learn more about me about my website by clicking HERE. Regardless, I hope you find healing, restoration and wholeness in your life.